The Jersey Devil, the supposed mythical creature of the New Jersey Pinelands, has haunted New Jersey and the surrounding areas for the past 260 years. This entity has been seen by over 2,000 witnesses over this period. 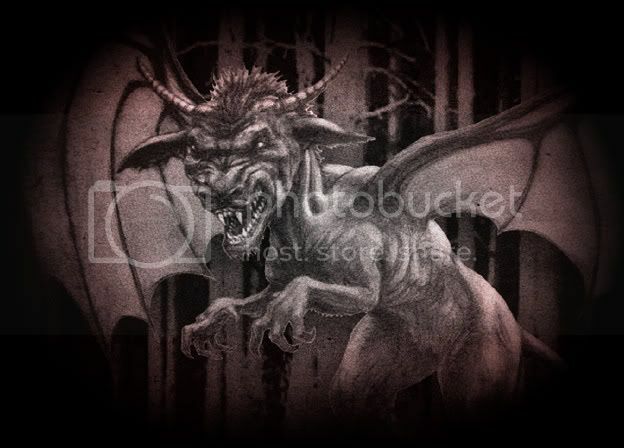 It has terrorized towns and caused factories and schools to close down, yet many people believe that the Jersey Devil is a legend, a mythical beast, that originated from the folklore of the New Jersey Pine Barrens. Others disagree with this point of view. The following text will show there is evidence to support the existence of an animal or supernatural bring known as the Jersey Devil. The evidence consists of the stories of the Jersey Devil's origin, the sightings of it, and finally, the theories on it. There are many different versions of the birth of the Jersey Devil. One of the most popular legends says a Mrs. Shrouds of Leeds Point, NJ made a wish that if she ever had another child, she want it to be a devil. Her next child was born misshapen and deformed. She sheltered it in the house, so the curious couldn't see him. On stormy night, the child flapped it's arms, which turned into wings, and escaped out the chimney and was never seen by the family again. A Mrs. Bowen of Leeds point said, "The Jersey Devil was born in the Shrouds house at Leeds Point." 1 Another story that also placed the birth at Leeds Point said that a young girl fell in love with a British soldier during the Revolutionary War. The people of Leeds Point cursed her. When she gave birth, she had a devil. Some people believe the birth of the devil was punishment for the mistreatment of a minister by the Leeds folk. Another story placed the birth in Estelville, NJ. Mrs. Leeds, of Estelville, finding out she was pregnant with her 13th child, shouted,"I hope it's a devil". She got her wish. The child wad born with horns, a tail, wings, and a horse-like head. The creature revisited Mrs. Leeds everyday. She stood at her door and told it to leave. After awhile, the creature got the hint and never returned. Burlington, NJ, also claims to be the birthplace of the Jersey Devil. In 1735, Mother Leeds was in labor on a stormy night. Gathered around her were her friends. Mother Leeds was supposedly a witch and the child's father was the devil himself. The child was born normal, but then changed form. It changed from a normal baby to a creature with hooves, a horses head, bat wings and a forked tail. It beat everyone present and flew up the chimney. It circled the villages and headed toward the pines. In 1740 a clergy exercised the devil for 100 years and it wasn't seen again until 1890. There are many other versions of the legend. The legends say it was the 6th, 8th, 10th, 12th, or 13th child, It was born normal or deformed, and the mother confined it to the cellar or the attic. Although there are many discrepancies in all of these stories, there are 3 pieces of evidence that tie all of the legends of the Jersey Devil's origin together. The first thing that ties the legends together is the name "Leeds". Whether the mothers name was Leeds or the birth place was Leeds Point, all of the stories include the name Leeds. Alfred Heston, the Atlantic County Historian, believes that the devil could be a Leeds or a Shrouds baby. He discovered that a Daniel Leeds opened land in Great Egg Harbor, NJ, in 1699. His family lived in Leeds Point. He also discovered a Samuel Shrouds, Sr. came to Little Egg Harbor, NJ, in 1735 and lived right across the river from the house of Mother Leeds. 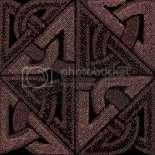 The 3rd fact ties in the Burlington story with the others stories. Professor Fred MacFadden of Coppin State College, Baltimore, found that a "devil" was mentioned in writings from Burlington as early as 1735. He also indicated that the word Burlington was used to was the word used to names the area from the city of Burlington to the Atlantic Ocean. This means that the name that is now used for the birthplace such as Leeds point or Estelville, could be the same place referred to in the Burlington Legend. The origins provide some validity to the existence of the Jersey Devil, but the sightings are the most substantial pieces of evidence. The sightings have been divided up into 3 time periods, pre 1909, January 16-23, 1909, and post 1909. From the pre 1909 era, few documented records of sightings still exist. The ones that do confirm the existence of the devil. In 1903, Charles Skinner, author of American Myths and Legends, claimed that the legend of the devil had run it's course and that in the new century, NJ would hear no more of the devil. New Jersey rested easy with that thought for 6 years, until the week of January 16-23. 1909. During this week, the devil would leave his tracks all over South Jersey and Philadelphia. He was seen by over 1,000 people. This was his largest appearance ever. It all started early Sunday morning, January 16, 1909. Thack Cozzens of Woodbury, NJ, saw a flying creature with glowing eyes flying down the street. In Bristol, PA, John Mcowen heard and saw the strange creature on the banks of the canal. Patrol James Sackville fired at the creature as it flew away screaming. E.W. Minister, Postmaster of Bristol, PA, also saw a bird-like creature with a horses head that had a piercing scream. When daylight came, the residents of Bristol found hoof prints in the snow. "It was about three feet and half high, with a head like a collie dog anda face like a horse. It had a long neck, wings about two feet long, andits back legs were like those of a crane, and it had horse's hooves.It walked on its back legs and held up two short front legs with pawson them. It didn't use the front legs at all while we were watching.My wife and I were scared, I tell you, but I managed to open the window and say, 'Shoo', and it turned around barked at me, and flew away." Tuesday afternoon 2 professional hunters tracked the devil for 20 miles in Gloucester. The trail jumped 5 foot fences and went under 8 inch spaces. The hoof prints were found in more parts of South Jersey. A group of observers in Camden, NJ, saw the devil. It barked at them and then took off into the air. The next day, a Burlington police officer and the Reverend John Pursell of Pemberton saw the Jersey Devil. Rev. Pursell said, "Never saw anything like it before".3 Posses in Haddonfield found tracks that ended abruptly. In Collingswood, NJ, a posse watched the devil fly off toward Moorestown. Near Moorestown, John Smith of Maple Shade saw the devil at the Mount Carmel Cemetery. George Snyder saw the devil right after Mr. Smith and their descriptions were identical. In Riverside, NJ, hoof prints were found on roof tops and also around a dead puppy. 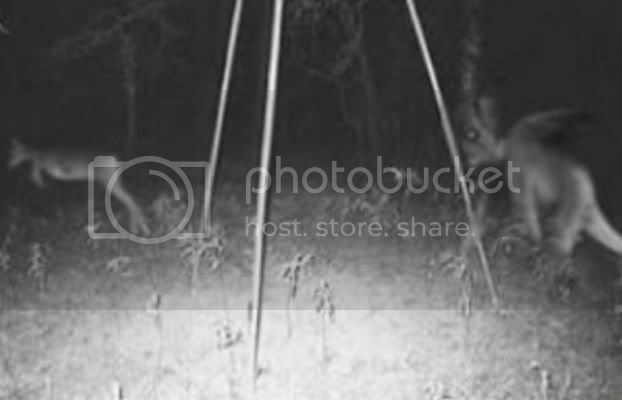 On Thursday, the Jersey Devil was seen by the Black Hawk Social Club. He was also seen by a trolley full of people in Clementon as it circled above them. The witnesses descriptions matched others from the days before. In Trenton, Councilman E.P. Weeden heard the flapping of wings and then found hoof prints outside his door. The prints were also found at the arsenal in Trenton. As the day wore on the Trolleys in Trenton and New Brunswick had armed drivers to ward off attacks. The people in Pitman filled churches. Chickens had been missing all week throughout the Delaware Valley, but when the farmers checked their yards that day, they found their chickens dead, with no marks on them. The West Collingswood Fire Department fired their hose at the devil. The devil retreated at first, but then charged and flew away at the last second. Later that night, Mrs. Sorbinski of Camden heard a commotion in her yard. She opened the door to see the Jersey Devil standing there with her dog in it's grip. She hit the devil with a broom until it let go of her dog and flew away. She started screaming until her neighbors came over. Two police officers arrived at her house where over 100 people had gathered. The crowd heard a scream coming from Kaigan Hill. The mob ran toward the creature on the hill. The Policed shot at it and the devil flew off into the night. The streets of Camden were empty after this. On Friday, Camden police officer Louis Strehr saw the Jersey Devil saw the devil drinking from a horses trough. The school in Mt Ephraim was closed because no students came in. Mills and factories in Gloucester and Hainesport had to close because none of the employees came to work. Many New Jersey residents wouldn't leave their houses, even in daylight. Officer Merchant of Blackwood drew a sketch of the creature he saw. His sketch coincided with the descriptions from earlier in the week. Jacob Henderson saw the devil in Salem and described it as having "wings and a tail"4. The devil was only seen once more in 1909 in February. Since 1909, the Jersey Devil has continued to be sighted by people all over New Jersey. The number of sightings that have been reported to the authorities has dwindled over the years. This could be attributed to the fact that people don't want to be branded as crazy. Even though the number of reported sightings has dropped, there's still a considerable amount of sightings in the post 1909 era. IN 1927, a cab driver on his way to Salem got a flat tire. He stopped to fix the tire. As he was doing this, creature that stood upright and was covered with hair, landed on the roof of his cab. The creature shook his car violently. He fled the scene, leaving the tire and jack behind. Phillip Smith, who was known as a sober and honest man, saw the devil walking down the street in 1953. The characteristic screams of the Jersey Devil were heard in the woods near Woodstown, NJ, in 1936. Around 1961, 2 couples were parked in a car in the Pine Barrens. They heard a loud screeching noise outside. Suddenly the roof of the car was smashed in. They fled the scene, but returned later. Again they heard the loud screech. They saw a creature flying along the trees, taking out huge chinks of bark as it went along. There have been other sightings since 1909, such as the Invasion of Gibbsboro in 1951. The people there saw the devil over a 2 day period. In 1966, a farm was raided and 31 ducks, 3 geese, 4 cats, and 2 dogs were killed. One of the dogs was a large german Shepard which had it's throat ripped out. In 1981, a young couple spotted the devil at Atsion Lake in Atlantic County. In 1987, in Vineland an aggressive german Shepard was found torn apart and the body gnawed upon. the body was located 25 feet from the chain which had been hooked to him. Around the body were strange tracks that no one could identify. The sightings and prints are the most substantial evidence that exists. Many of the theories on the Jersey Devil are based upon that evidence. Some theories can be proven invalid, while others seem to provide support for the Jersey Devil's existence. One theory is that the Jersey Devil is a bird. Mrs. Cassidy of Clayton thought it was an invasion of scrowfoot ducks. The scrowfoot duck is much too small to be mistaken for the devil. Others believe the devil is really a sand hill crane. The crane used to live in South Jersey until it was pushed out by man. The sand hill crane weighs about 12 lbs., is 4 foot high, and a wingspan of 80 inches. It avoids man but if confronted it will fight. It has a loud scream whooping voice that can be heard at a distance. This could account for the screams heard by witnesses. The crane also eats potatoes and corn. This could account for the raids on crops. This theory doesn't explain , however, the killing of live stock. It also doesn't explain why people described the devil as having a horses head, bat wings and tail, all of which the crane doesn't have. Professor Bralhopf said that" the tracks were made by some prehistoric animal form the Jurassic period"5. He believes the creature survived underground in a cavern. An expert from the Smithsonian Institute had a theory about ancient creatures surviving underground. He said the Jersey Devil was a Pterodactyl. The Academy of Natural Sciences could find no record of any creature, living or extinct, that resembles the Jersey Devil. Jack E. Boucher, author of Absagami Yesteryear, has a theory in which he believes the devil was a deformed child. He thinks Mrs. Leeds had a disfigured child and kept it locked away in the house. She grew sick and couldn't feed the child anymore. It escaped out of hunger and raided local farms for food. This doesn't take into account the incredible life span of the devil. The child would have been 174 years old in 1909. It also doesn't account for the sightings of the devil flying. Only a small amount of the sightings and footprints could be hoaxes. The Jersey Devil has been seen by reliable people such as police, government officials, postmasters, businessman, and other people whose "integrity is beyond question. "6 As for the hoof prints, even if some were hoaxes, There is still no way to explain most of the tracks, especially the ones on roof tops and tracks that ended abruptly as if the creature took wing. The last theory is the most controversial one. Many people believe that the Jersey Devil could be the very essence of evil, embodied. It is said that the devil is an "uncanny harbinger of war". and appears before any great conflict. The jersey devil was sighted before the start of the Civil War. It was also seen right before the Spanish American War and WW I. In 1939, before the start of WW II, Mount Holly citizens were awakened by the noise of hooves on their roof tops. The Devil was seen on December 7, 1941, right before Pearl Harbor was bombed. He was also seen right before the vietnam War. The Jersey Devil's habit of being a forerunner to wars could be because of his possible demonic origins. In 1730, Ben Franklin reported a story about a witchcraft trial near Mt Holly, NJ. One of the origin legends say that Mother Leeds was a witch. The devil's birth could have been a result of a witches curse. Other facts support the supernatural theory are the reports of the death of the devil. When Commodore Decatur fired a cannon ball at the devil, it went through him and he was unaffected. In 1909, a track walker on the electric railroad saw the devil fly into the wires above the tracks. There was a violent explosion which melted the track 20 feet in both directions. No body was found and the devil was seen later in perfect health. In 1957, the Department of Conservation found a strange corpse in a burned out area of the pines. It was a partial skeleton, feathers, and hind legs of an unidentifiable creature. The devil was thought to be dead, but reappeared when the people of New Jersey thought that this time his death was real. Each time he is reported dead, he returns. Sometimes this year. The Jersey Devil will be 260 years old. It seems the devil is immortal, which a supernatural being would be. Another thing that supports this theory is the incredible distances the devil could fly in a short period of time. No animal could travel as fast as the devil did in 1909 when he was sighted in South Jersey, Philadelphia, and New York through out the week. None of these theories can give a definitive answer to what the Jersey Devil was or is, but the sightings prove there is something out there. Whether the Jersey devil is a bird or a demon, is still left to speculation. The people of New Jersey have definitely seen something out there lurking in the Pine Barrens.